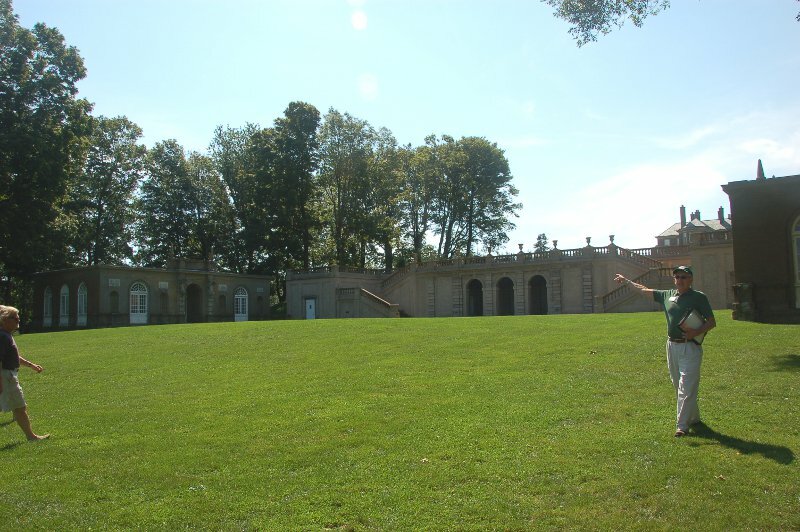 This would have been a fine day for one of Florence Crane’s tea parties at Castle Hill in Ipswich, Massachusetts. Although by September, the summer season would be over and she would have returned to their home in Chicago. Florence Crane was the wife of Richard Crane, a wealthy industrialist who purchased Castle Hill in 1910. On Saturday, September 8th, my husband and I went on the landscape tour of Castle Hill on the Crane Estate, which took an hour and a half. 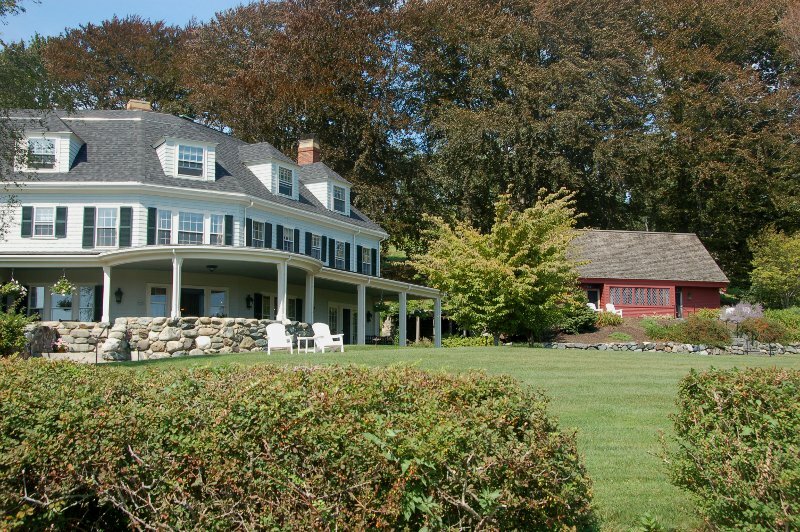 It’s one of the few grand estates left that has not been carved up and sold off. 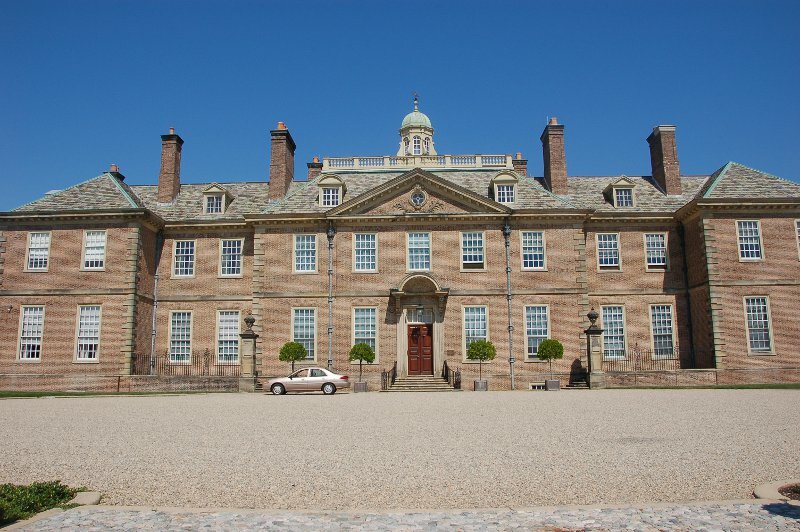 As I have described in my public gardens section for Castle Hill, the property was originally given in 1637 to John Winthrop, Jr., son of Massachusetts’ first governor. 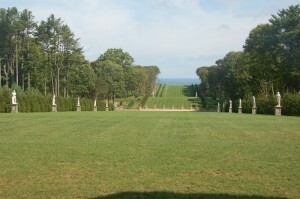 After a succession of owners in the next two centuries, it ended up as the property of John Burnham Brown, who transformed the house and property into a gentleman farmer’s estate with roadways and tree plantings that enhanced the dramatic views of the surrounding area especially the beach. When Brown sold the estate in 1910 to Chicago industrialist Richard Crane, the estate was once again elevated to a whole new level. He built an Italian Renaissance-style villa as a summer retreat for his wife, Florence, and his children, Cornelius and Florence atop Castle Hill. 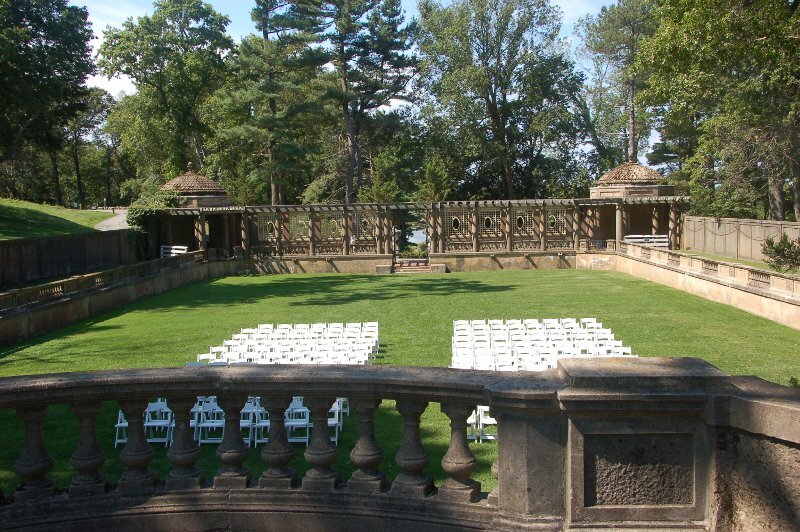 He also hired the Olmsted Brothers to design a landscape that integrated indoor and outdoor spaces, an idea popular with owners of country estates at that time. Florence did not like Italianate villa, which she thought was drafty and cold. So in 1924, Crane had the villa replaced with a 59-room English Stuart-style mansion designed by architect David Adler. The house was modeled after Belton House near Grantham, Lincolnshire, England. Crane died in 1931 and Florence in 1949, at which time the property including the beach was donated to the non-profit conservation and historic preservation organization, The Trustees of Reservations, who now run the estate and conduct tours. The Trustees of Reservations offer both house and landscape tours. My husband and I went on the landscape tour, saving the house tour for another day. 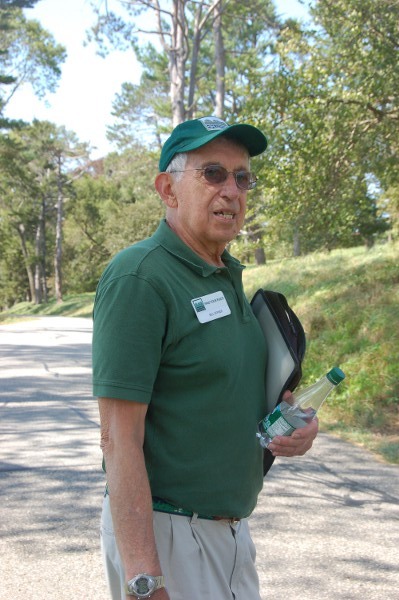 Volunteer Bill Effner led an informative and entertaining tour of the estate. 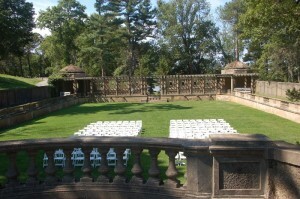 He has worked here for several years as well as having attended concerts at the estate from the 1960s through the 1980s. So I think there is little he doesn’t know about the estate. We started at the Great House leaving out the back French doors to the stunning view of the Grand Allee whose half mile long hilly slope undulates to the sea. This has undergone a restoration in the past three years with its 700 trees of mostly spruce and cedar, which had become overgrown, being replaced. This uncovered the statuary that lines the allee and that were repaired or replaced. Lights were installed so that evening concerts can be enjoyed. Crane was good to his employees and staff. So when the house was completed in 1927, his 3600 employees sent him a gift of a pair of art deco griffins, which now adorn the back of the house looking out onto the Grand Allee. From the back of the house, you can see the Isle of Shoals on a clear day. Richard Crane made his fortune in pipes and other supplies for bathrooms. Timing can be everything and, in his case, when indoor plumbing became possible in the late 1800′s, he was there to supply the goods. As Crane was very involved in the development of the estate, he made sure it had the latest and greatest in plumbing. 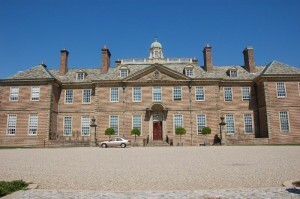 All of the outbuildings and structures such as walls on the estate are in the same Italianate style of the first house that was built for the Crane estate and later replaced with the Stuart-style mansion. From the back of the house, we walked over to the east side of the house. In this Italianate walled area, there originally was a maze of arborvitae, which is now gone, and a grass tennis court. 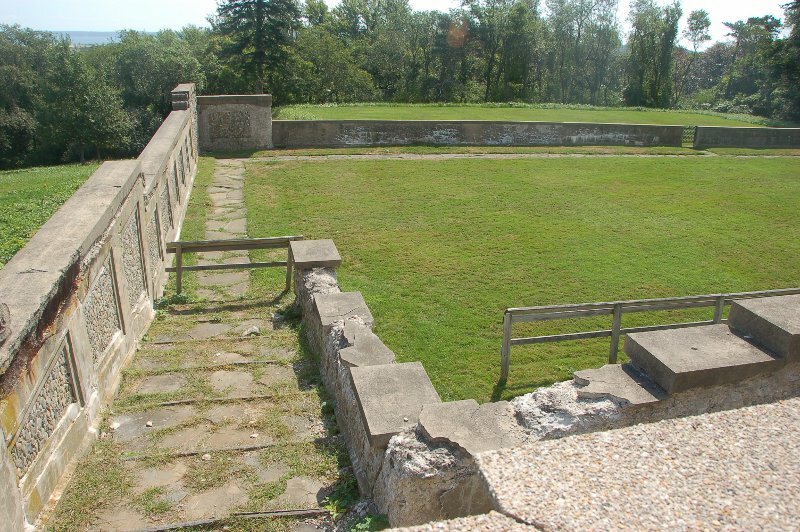 When clay courts came into vogue, the tennis courts were moved to another part of the estate. 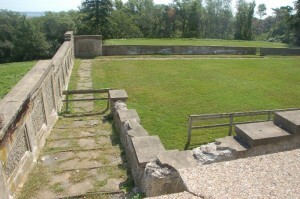 The grass tennis court became a bowling green for lawn sports such as croquet and bocce. Underneath this whole area was a cistern of 130,000 gallons of water that Crane had installed to capture the run-off from the roof. This supplied the house with its water. The cistern was recently reactivated with the renovation of the Grand Allee. After a hundred years of exposure to the sea air, the concrete stairs and terraces in the bowling green area have deteriorated with the surfaces crumbling. So the bowling green area will be restored and reopened to the public for games, concerts, weddings, and other events. On the west side of the house, the Italianate area that was a garden has been renovated, although not restored. A path lined with hostas, rhododendrons, and ferns leads you to what was Florence’s formal garden, which consisted mainly of blue larkspur or delphinium, purple canterbury bells, and white Madonna lilies. 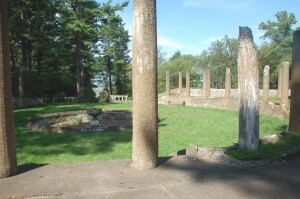 A pergola once adorned the tops of the stone pillars here. There was a fountain in the center of the garden and two tea houses at the corners, where Florence would hold her tea parties. There can sometimes be surprises even after an estate has been around for a hundred years. 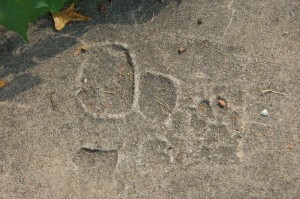 Shoe prints were recently discovered on a set of cement steps leading down into the garden area. It appears they could be the shoe prints of the Crane children, Cornelius and Florence, when they were quite young as well as the paw print of the family dog. Continuing on, you come to what was the wildflower garden, popular in the 1920′s, that consisted of hostas, ferns, and mountain laurel. This was not maintained. It leads to what was the rose garden, which only a photo can show how grand it was when it was created in 1913. It also explains why the cost and maintenance of restoring such a garden would be prohibitive, at least for a non-profit organization. From here, we walked past what was the garage and chauffeur’s quarters. Being in the plumbing business and up on the latest technology, Crane installed a car wash with overhead pipes! Round the corner and at the foot of the Grand Allee, we come upon what was known as the casino complex. Although we tend to associate that word with gambling, in fact the word means “small house” in Italian. These Italianate buildings were designed to house single male guests, who were not allowed to stay in the Great House where the women were staying. I’ve no doubt the males were quite happy with this arrangement since the bachelor’s quarters at the casino were quite comfortable with a pool and ballroom with a bar to enjoy. And I’m sure there was plenty of staff to wait on them. Right now, the pool area is a lawn. However, the pool will be restored with statuary, but minus water for liability reasons. In the 50′s and 60′s this area was the stage for jazz concerts featuring such luminaries as Duke Ellington and Count Basie. This switched to classical concerts in the 70′s and 80′s. From the casino complex, a road offering spectacular views of the beach and property leads to the Brown Cottage, which is now the Inn at Castle Hill. 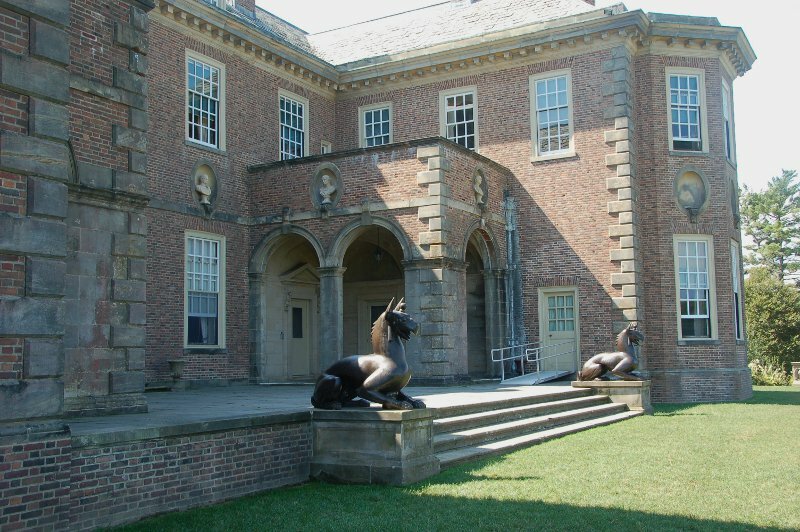 The oldest building on the estate, this house as well as the estate was originally owned by J.B. Brown, a gentleman farmer who made his fortune in railroad construction. He renovated the “cottage”, which was further upgraded by Richard Crane’s son, Cornelius in the 1940s. Cornelius also added a tavern or English-style pub in the 1950s. 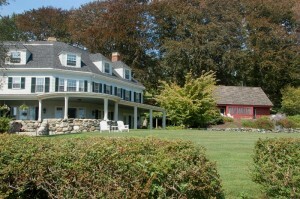 In 2000, the house and tavern were reopened as the Inn at Castle Hill, a luxury bed and breakfast that helps support the estate. Next, we come upon the farm complex made up of Italianate buildings that allowed the estate to be relatively self sufficient. 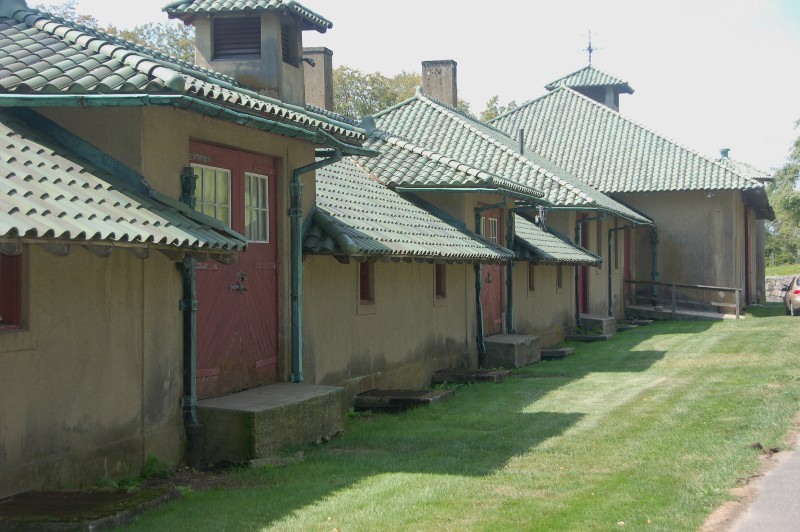 Unusual for the time, the farm buildings had windows and housed cows, chickens, a dairy, horse stables, a silo, workshops, an ice house, and workers’ quarters. There was also a power house that provided the estate with its own electricity. Crane had a fear of fires so he made sure the buildings were safe as well as providing a small fire station with a fire engine. The greenhouse, which helped provide the estate with food and flowers in the winter, will soon be renovated and open to the public. The barn was the venue for concerts in the 1980s and is now used as a summer camp for kids. Across the way, you see an area surrounded by Italianate stone walls anchored by stone round towers at either end. One of these towers served as an art studio for Cornelius’s second wife, Mine. The area that is grassed over now was a vegetable garden planted in 1917 and supplied the house with produce. 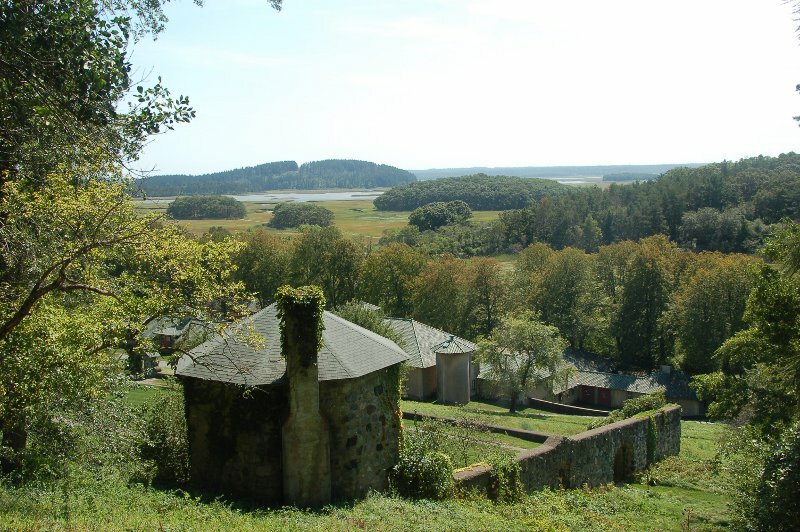 What is amazing about this tour is that no matter where you look the views are unspoiled whether it be of parts of the estate, such as the garden areas, or surrounding the estate, such as Crane’s Beach, Choate Island, or the salt meadows. You can truly get a sense of what it was like for the Crane family and their employees to live here. It was a peaceful oasis and probably a happy place since Mr. Crane was a genial, enterprising man good not only to his family (replaces a villa with a mansion for his wife! ), but also to the many who worked on the estate to make it all possible. Like many such wealthy families, the Cranes entertained continually throughout the summer season, allowing others to enjoy the paradise they helped to create. The world changed rapidly after the two World Wars, making this lifestyle unsustainable. 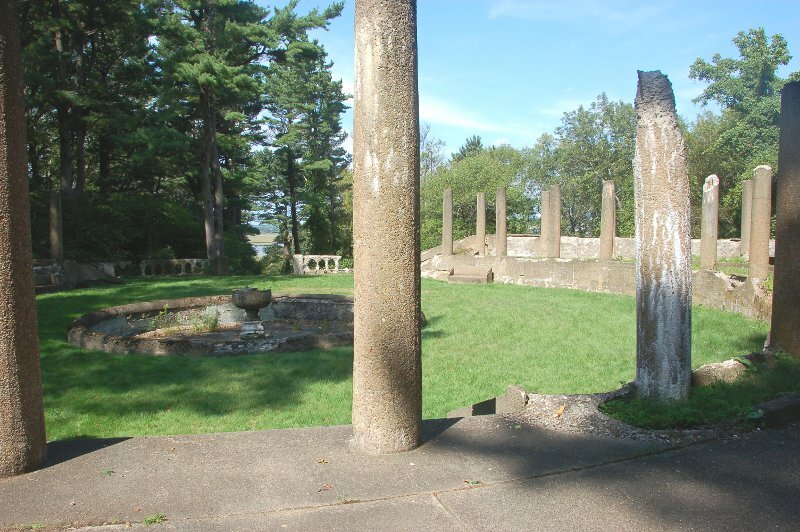 It is wonderful to have an organization such as the Trustees of Reservations to help preserve this slice of history. 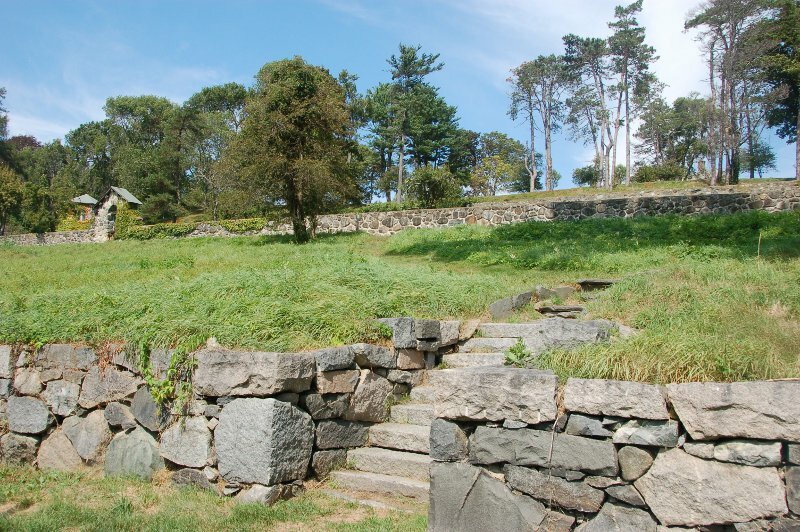 The landscape tours continue on Thursdays and Saturdays, 11 a.m. to 12:15 p.m., until October 27th.